This asparagus was super fresh, and shipped, freshly harvested, from Michigan. I actually received about four pounds of asparagus, and have been having fun using it in different ways, such as in this shaved asparagus pizza, and this asparagus and goat cheese tart. I also remade this delicious asparagus, pea, and leek stir-fry, and a yet-to-be posted amazing asparagus and potato soup. 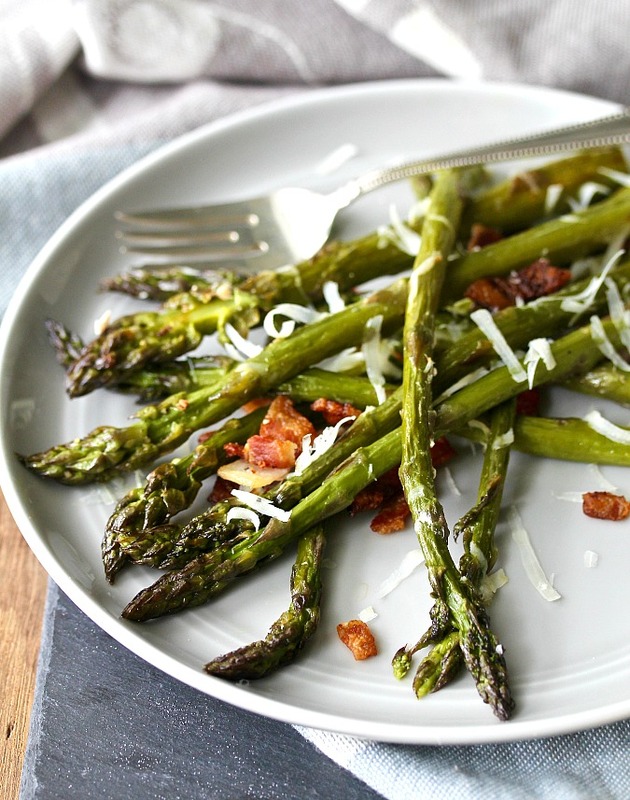 This roasted asparagus with bacon is so easy to make. Just spread the asparagus out on a sheet pan, add a little olive oil and some chopped bacon, and roast in a 450 degree F oven until the asparagus is done and the bacon is crispy. Top it with a garnish of Parmesan cheese and serve. So good. This is the next theme from the Kitchen Matrix Project hosted by Camilla and Wendy. We're cooking our way through the book, Mark Bittman's Kitchen Matrix: More than 700 Simple Recipes and Techniques to Mix and Match for Endless Possibilities. This recipe is from the section, Asparagus +12 Ways, including steamed, roasted, stir-fried, and grilled. 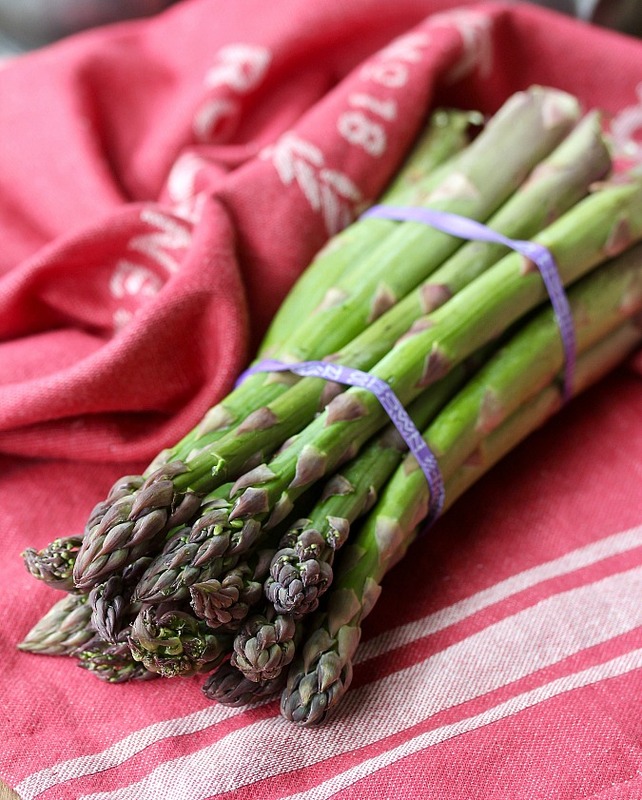 There are so many great ideas to prepare asparagus in just two pages. After the recipe, be sure to check out Wendy's and Camilla's asparagus dishes. Heat the oven to 450 degrees F. Toss the asparagus with the olive oil and sprinkle with the chopped bacon. Roast the asparagus until just tender. The amount of time it will take depends on the thickness of the asparagus, 10 to 20 minutes. Sprinkle with freshly grated Parmesan cheese. Love roasted asparagus. Thanks for hosting this month Karen. Thanks Wendy. That Michigan asparagus got quite a work out! Bacon makes everything better, right? Thanks for hosting this month, Karen. I love these recipes. 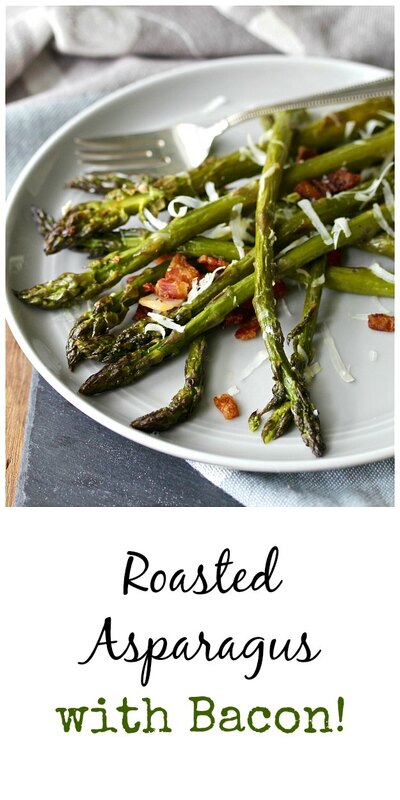 Love roasted asparagus, and you can never go wrong adding cheese and bacon! Yum! 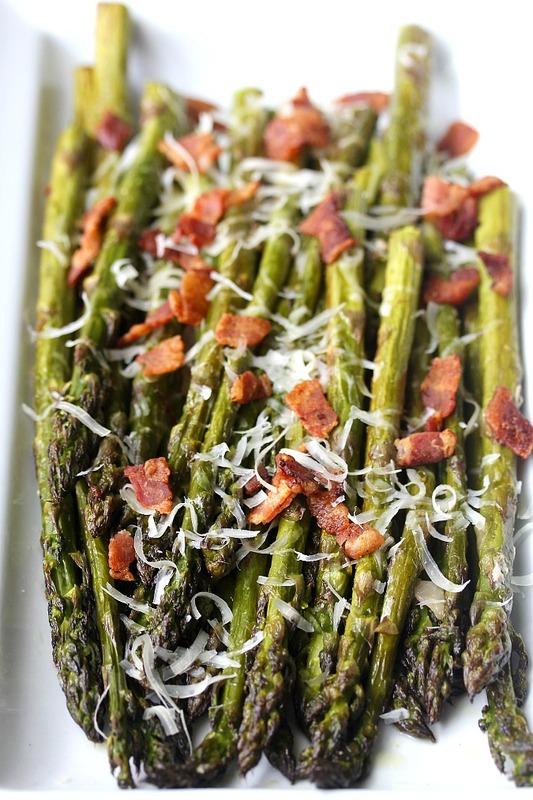 I love asparagus with Parmesan, but adding bacon just makes that even better! I like very roasted asparagus, and bacon is always good, right? three of my favorite foods in one dish!